Dr. Shmueli's research has been published in the statistics, management, information systems, and marketing literature. She authors over seventy journal articles, books, textbooks and book chapters, including the popular textbook Data Mining for Business Intelligence and Practical Time Series Forecasting. Dr. Shmueli is an award-winning teacher and speaker on data analytics. 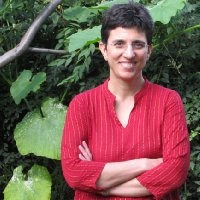 She has taught at Carnegie Mellon University, University of Maryland, the Israel Institute of Technology, Statistics.com and the Indian School of Business. Her experience spans business and engineering students and professionals, both online and on-ground. Dr. Shmueli teaches courses on data mining, statistics, forecasting, data visualization, and industrial statistics. For more information, see www.galitshmueli.com.